M y name is Stephanie Katrice Matthews. I am 27-years of age and currently reside in Baytown,Texas. I live with my husband, daughter and a new bundle of joy on the way. I enjoy reading, writing, spending time with my family, art and going to church. I have been writing poetry for 14 years or more now. Poetry has always been a way for me to communicate and express my feelings as well as my thoughts. I also keep journals which i have been doing since junior high even up until now. Which hopefully one day i can turn into a memoir of my life story. I have never been the one to speak alot especially in public (due to shyness) so one day I would love to share my feelings and thoughts at an open mic or any event that requires a motivational speaker of course without being fearful. Poetry has also been a way for me to escape from the world and ease my mind into a comfort zone. Poetry lets me be myself as well as bringing out the best in me. Poetry helps me to express my emotions without having to use my vocals but exercise my mind more. Poetry is also a art of my inner being as well as a creation (portrait) of myself. My poetry is my life story from the time i opened a book and let my pen and mind do the flowing. Poetry is a healing virtue for my mind, body and soul which it gives me a sense of cleansing when i do release my mind. I thank God that He has given me the gift to flow poetically. As of now in my life I am in the process of getting my first poetry book published called "Straight Soulness" and i am currently working on a novel called "Ain't Hooking Anymore". The Novel Entitled: "Ain't Hooking Anymore". 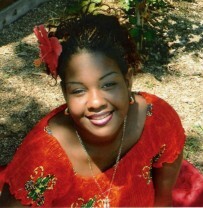 This Author is avaliable for Book Signings, so feel free to contact her at: Stephanie@MzSoulness.com.